Catch your first glimpse of the 2019 Wildcats! 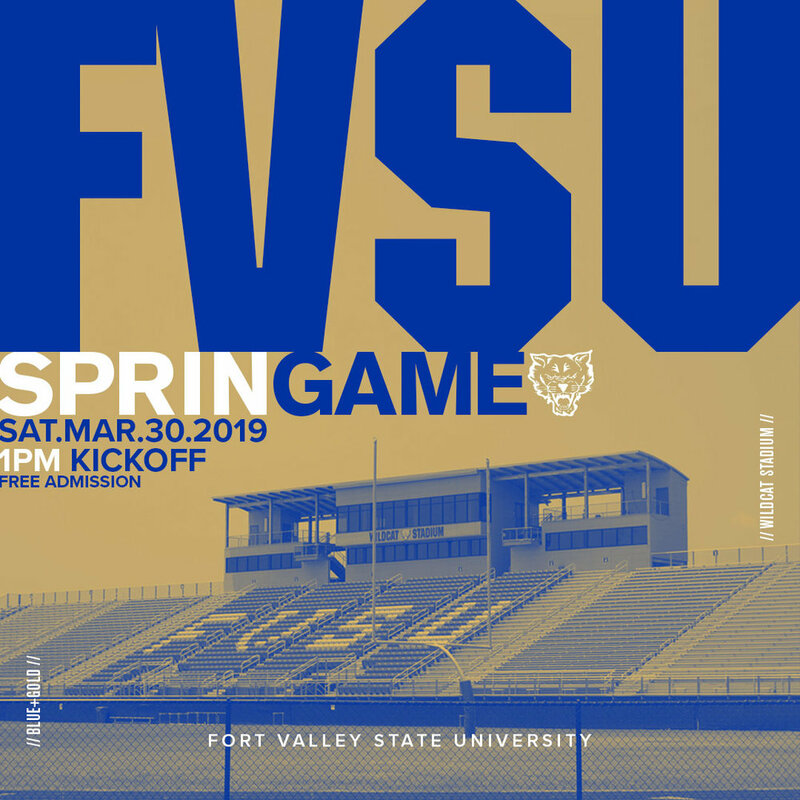 The Fort Valley State football team takes to the Wildcat Stadium grass for the annual Blue and Gold Spring Game this Saturday in a 1 p.m. kick-off. The FVSU athletic department encourages all family, friends and fans to enjoy the action with no admission fee. Gates will open at noon, an hour before the start of the scrimmage.